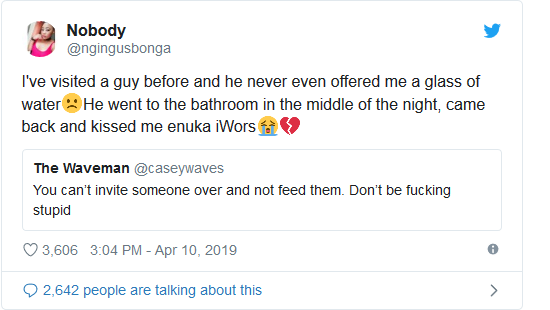 A Twitter user identified as Nobody@ngingusbonga, has shared her worst experience concerning her relationship with the boyfriend. According to beautiful lady, she visited her ex and was not even offered a glass of water. The guy later dashed off to the bathroom in the middle of the night and came back smelling like he had eaten some food. 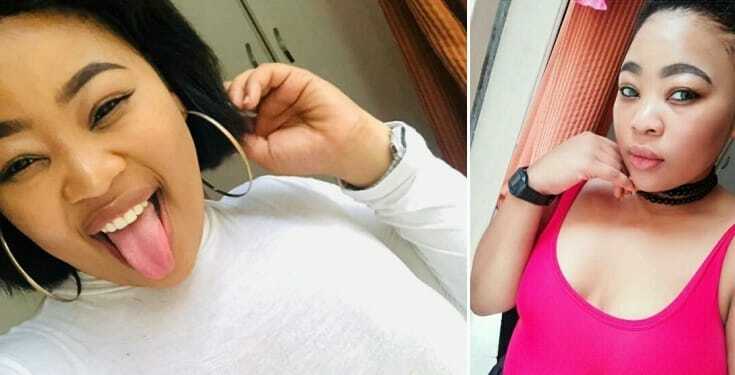 “I’ve visited a guy before and he never even offered me a glass of waterHe went to the bathroom in the middle of the night, came back and kissed me.” she said.